Kia Niro SUV concept to appear at Frankfurt | What Car? 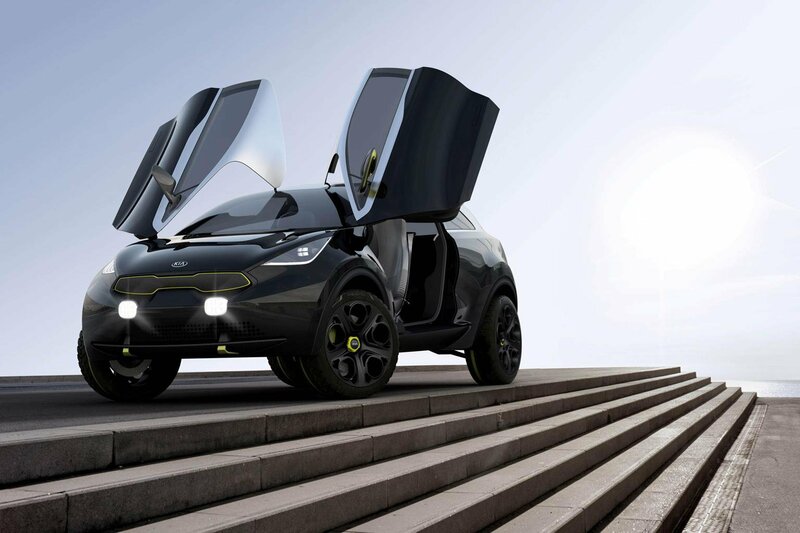 Kia has announced that the concept car it will display at the Frankfurt motor show will be called the Kia Niro. The small SUV concept hints at a possible future rival for the likes of the Nissan Juke. Although it is not yet confirmed for production, Kia has previously said that a small SUV would fit well into its line up. 'We enjoy a good reputation with SUVs – with Sorento and Sportage – so I think we can capitalise on that with a smaller SUV,' Kia's vice-president Benny Oeyen told What Car? at the 2012 Paris motor show. The Niro is said to come with an 'innovative' new engine, details of which have not yet been revealed. However, Kia may offer a similar petrol electric unit as shown in the Provo concept at the Geneva show back in March this year. Kia says it will also come with several design and interior elements not normally associated with small cars. The pictures suggest this will include a one-piece interior, a rotating grip-shift gear lever and a touch-sensitive parking brake. Although there are no plans to put the Niro into production in its current form, it is to be used to gauge customer response and shape the company's future plans for a small SUV. More information on the Niro is expected to be revealed closer to the car's official debut in Frankfurt on 10 September.